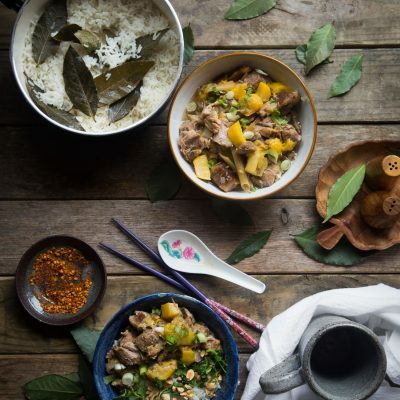 Pork shoulder roast is slowly cooked with aromatic lemongrass, ginger, and squash and served with flavorful coconut bay leaves rice. Perfect as easy scrumptious weeknight dinner solution! I still remember few of the things that my mom packed for me in my luggage when I was leaving home from Indonesia to the U.S. for college. Not in any particular order of importance, they were pillow, body pillow, a pan, small pot, and rice cooker. I’m not kidding 🙂 Yup, they traveled with me 1000 of miles across the countries and oceans! I was a curious teenager who was so ready to explore the world on my own. I never truly knew how my parents were feeling at the time. I mean they for sure missed me and worried about me. Alone in a place with a different language, different culture, different food, different weather (it was Winter when I first came! ), seriously…anything that could possibly be different! I’ve never stayed far away from home before. Mom did all the cooking for us and despite the fact that she packed me some pot, pan, and rice cooker, she knew I probably wouldn’t have much time to cook, if at all! Well, I didn’t have to when I stayed in the dormitory, but you know as a mom..”Just in case”. 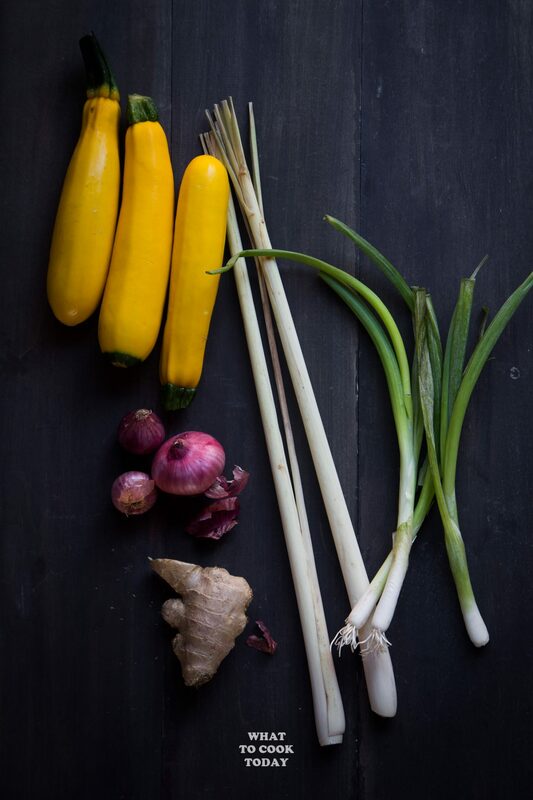 It made her feel more reassured that I wouldn’t starve myself because at least if I had to cook, I had some basic equipment to cook with (Mom thought of everything!). My little cooking adventure started when I moved out from the dorm into an apartment with few of my college friends. That’s when mom realized I wasn’t equipped with much cooking skills too! She said I must invest in a slow cooker and so I did. 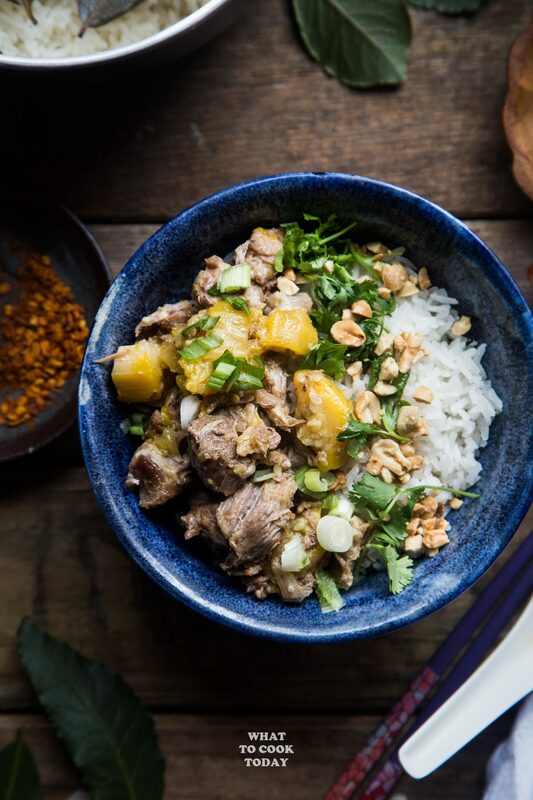 This slow-cooked lemongrass pork was what I made so often because well, surely I knew how to just put everything in a slow cooker mom thought! She was right! 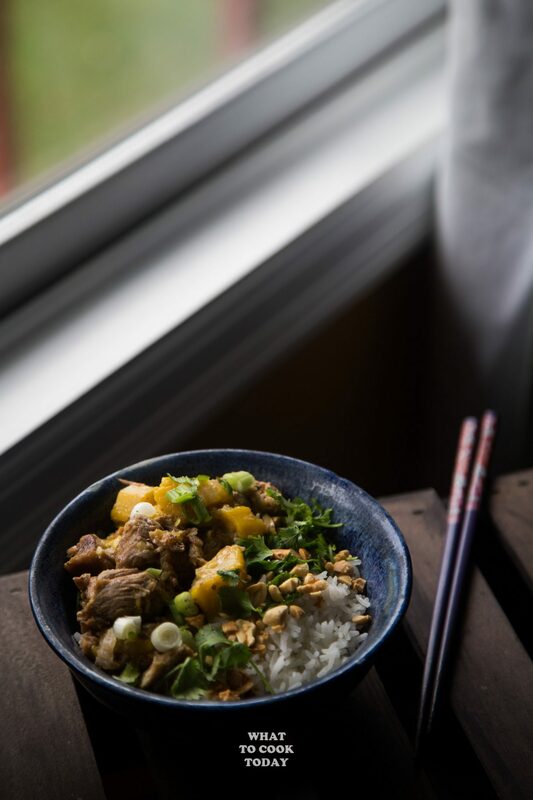 This has been one of her recipes that I like to make because it’s easy and it has that familiar Southeast Asian flavor that I had been missing. My mom is my unsung Hero you guys! She is an amazing person who is so willing to put herself in an uncomfortable situation just to help and care for others. My aunts, uncles, cousins, and relatives often seek her for advice and emotional supports. I’m so proud to call her my life mentor. My best friend! Without her, I probably would have never stepped foot here in the U.S. She told me as long as I believed in my dream, I would make it come true. It might not seem obvious how I would make it happened, but I should never give up on myself and keep working towards that dream was what she told me. I’m sure you guys have or know of a “hero” in your life or community who has impacted your life or community in some ways and deserves recognition. You can nominate that someone by entering #SmithfieldCares Sweepstakes below. 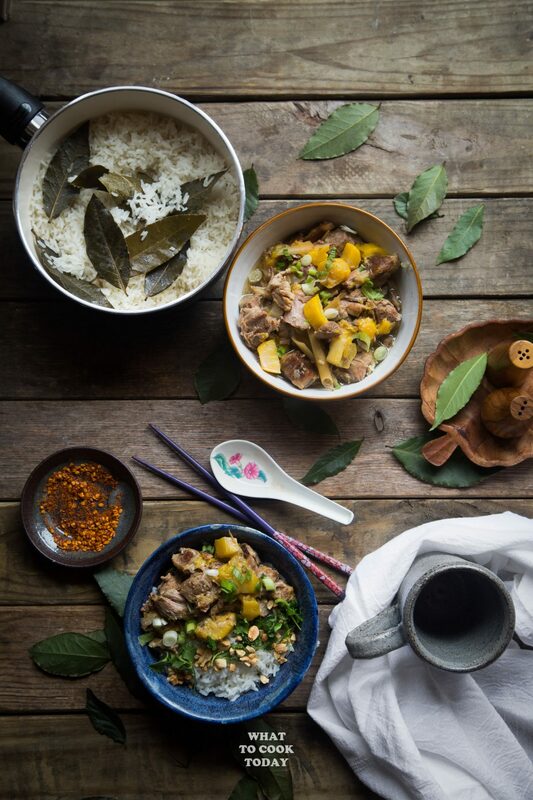 So the mention of this slow-cooked lemongrass pork sure sparks some strong emotion in me and how grateful I am for having an amazing hero in my life. 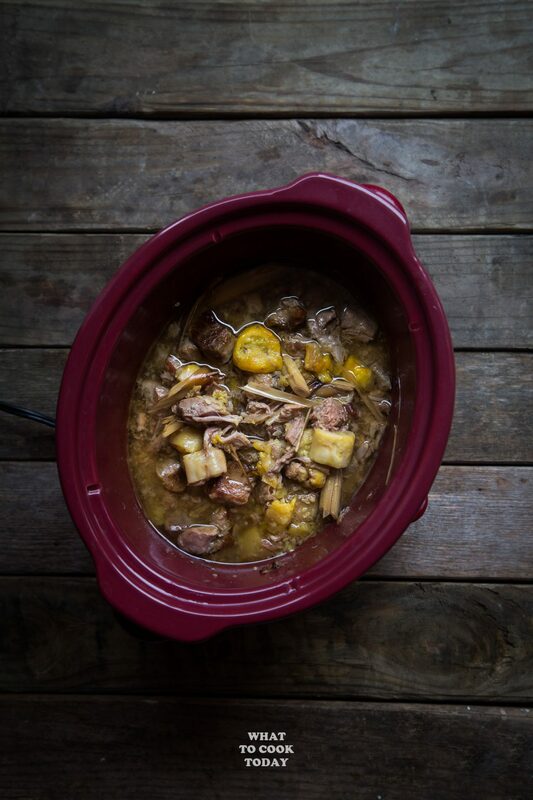 I used Smithfield All Natural Pork Shoulder Roast in this recipe. They are naturally tender and juicy without added steroids, hormones or artificial ingredients. 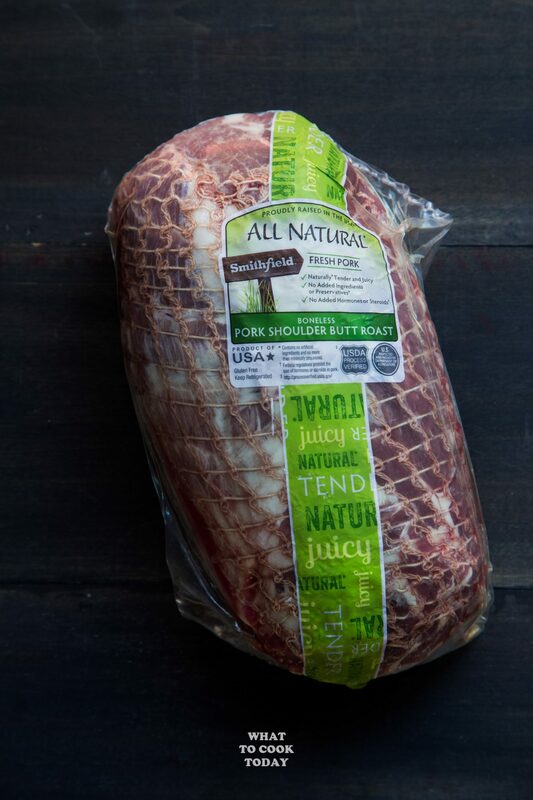 Smithfield All Natural Fresh Pork is so versatile for your everyday weeknight cooking or entertaining for that matter! I want to serve my family food that I can feel good about for sure. 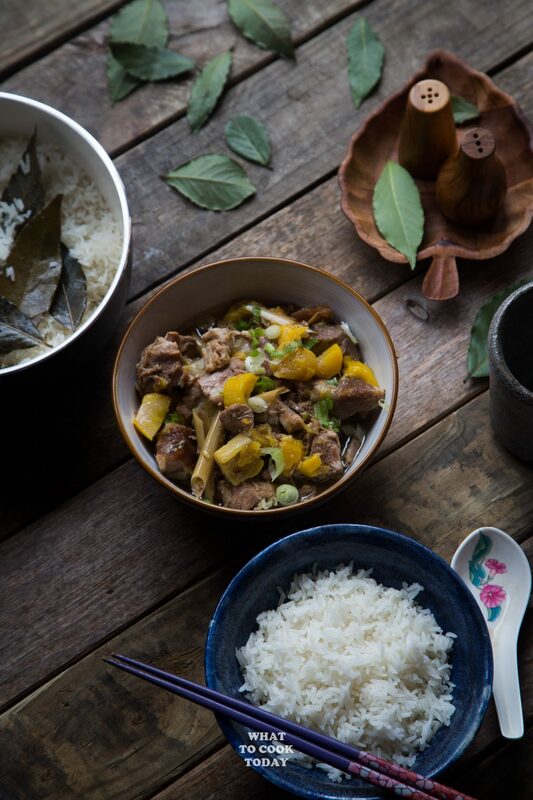 The best part about having this large pot of slow-cooked lemongrass pork is that you don’t have to worry about lunch the next day. You can pull the pork and repurpose it into pulled pork taco, made a stir-fried rice or noodles with it or sandwich it between the hamburger buns. Just to mention a few! 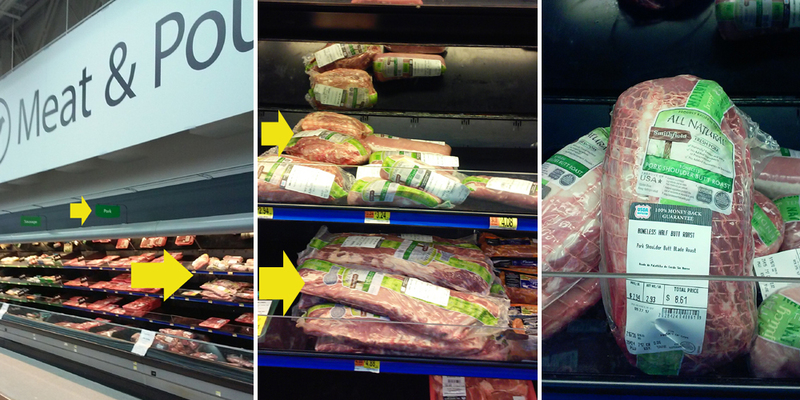 Next time you are at Walmart, don’t forget to check out the Meat aisle and you will find Smithfield All Natural Fresh Pork in the Pork section of the aisle. You can earn $1 with the purchase of any one Smithfield All Natural Fresh Pork. You can serve the pork in pieces or shred them with pork for pulled pork. It's up to you. 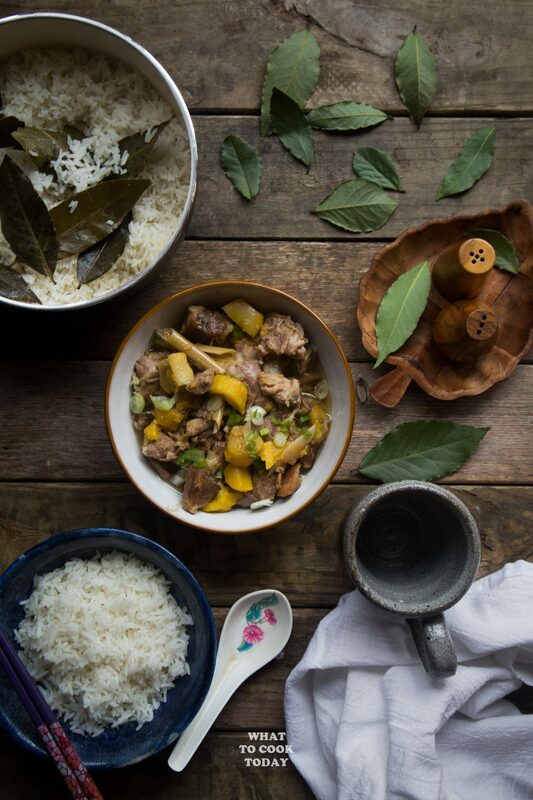 Scoop some rice in a medium-size bowl and top with the pork and squash. Crush some roasted peanuts in for some contrast of texture (totally optional), sprinkle with some green onions, few sprigs of fresh cilantro leaves and serve with some chili flakes on the side if you like some heat. Enjoy! 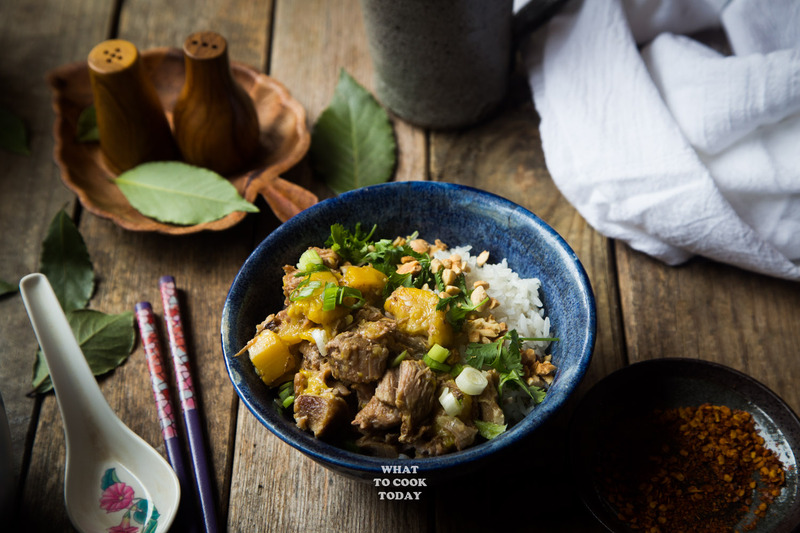 You can check out these Maple Chipotle videos and Curried Mango for more inspirations.